This training is a distant learning certification with continued education credits provided. YogaFaith Adaptive, fka BOLD, is a Christ centered training rooted in biblical principles of prayer, meditation and whole worship. This training will take you deeper with Christ, empower you in your God-confidence and purpose as a sacred space facilitator. This demographic requires in boldness in body, mind, spirit and soul and we are honored that you would hold safe, sacred space for all people. Contact training include 4 weekly webinars and soul work/application. 4 weekly webinars. Certificates will be mailed upon completion of all requirements fulfilled. Amy resides just outside of Perrysville, OH with her husband and three children. Yoga has been in and our of her life for nearly 20 years. In 2010, the Lord had other plans for her and brought yoga to the forefront of Amy’s life and that is when she began to embrace it as a form of personal worship. When she found YogaFaith, Amy knew this ministry was a divine match to her hearts longing to be an ambassador for Christ to people in need of healing. In 2017, she completed her teacher training with YogaFaith (R-YFT) and is also a certified restorative yoga instructor(R-R). These faithful steps are leading her to others to find wholeness and oneness with Christ. Since 2012 she has taught primarily yoga in communities that are enveloped in the Mohican State Park in Loudonville, Ohio. Her practice has evolved into one that focuses on healing the body and spirit though body work, primarily though a gently flow and restorative practice, and soon trauma informed yoga to compliment talk therapy. These modalities have forever shaped her testimony and personal ministry to help others get on a path of natural healing the way Christ intended. Amy is also a YogaFaith Ambassador (YF-A), embodying Christ’s vision for this ministry and taking Jesus out into the world so others can find restoration in mind, body, spirit and soul. 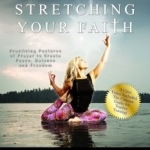 Called the Yoga Pastor, Michelle Thielen is a speaker, author of Stretching Your Faith and traveling yogi who holds over 25,000 teaching hours. She is a Registered Master Trainer with the Yoga Alliance as well as the Christian Yoga Association. 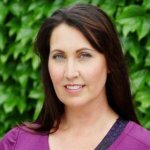 As a Trauma Sensitive Yoga Trainer, Michelle has been instrumental in aiding with the restoration of those who suffer from trauma, intense anxiety or depression into healing and freedom. She travels around the world aiding in the rescue efforts of human traffick victims as well as raising awareness about the epidemic. Michelle is passionate about helping others find their purpose and living it out loud while here on earth! This training is for anyone who would like to teach, train up others, or simply know for themselves how to teach every body type, height, limited mobility, injury, adaptive, prosthetics, etc.